Born in Glasgow, Scotland, Paul picked up his first Super 8 camera at the age of 13. After directing 30 (or so) low budget Music Videos in the UK, Paul moved to Los Angeles to pursue a full time career in film-making. He signed to a directing contract through Ridley Scott & Assoc where he helped develop Black Dog films, being the 1st director on contract. At RSA, he created music videos for Lenny Kravitz, Inxs, Seal and Jamiroquai, to name a few. From there, Paul went on to a directing contract at Propaganda Films under the leadership of Steve Golin and Co. At Propaganda Films, Paul directed award winning, world-class, music videos for superstars, Shania Twain, Sting, Celine Dion, Bryan Adams, The Backstreet Boys. Paul has over 150 music videos directing credits to date. Paul directed 5 of the music videos on Shania Twain’s hit album ‘Come On Over’, currently the Guinness Book of Records biggest selling female album of all time. Paul’s collective Shania Twain videos have over 200,000,000 hits on youtube. Paul’s career expanded into commercials where he created/directed campaigns for Jaguar, Toyota, VW, L’oreal, Target, P&G, Clairol, etc. Paul was instrumental in setting up cross-promotion product placement in music videos with his worldwide smash for Sting, ‘Desert Rose’ featuring the new line of Jaguars. Paul wrote and directed his debut feature film “Vicious Circle” which was released theatrically in ‘09 and won numerous festival awards including Best Picture at the NY Latino Film Festival. 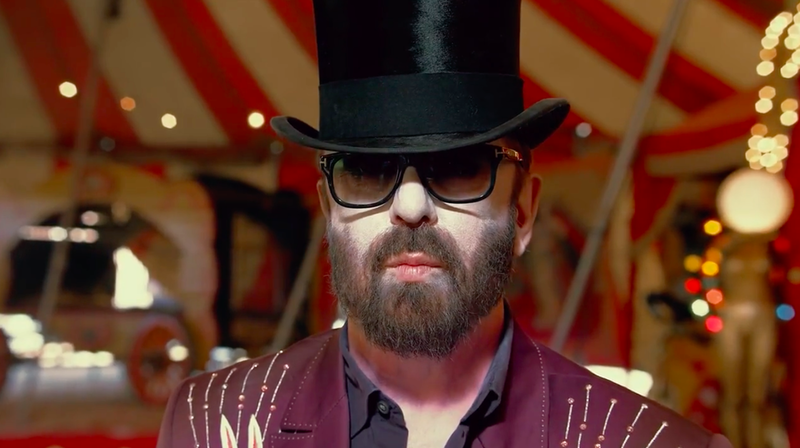 Paul continues to direct and also works alongside Dave Stewart (from the Eurythmics) as his Head Of Production for Dave Stewart Entertainment in Hollywood CA. Paul has written numerous screenplays and is in pre-production for his sophomore feature film Scared To Death.